If you love entertaining, open plan family living space and the kitchen is the 'hub of your home', then we have found the perfect 'home' for you. 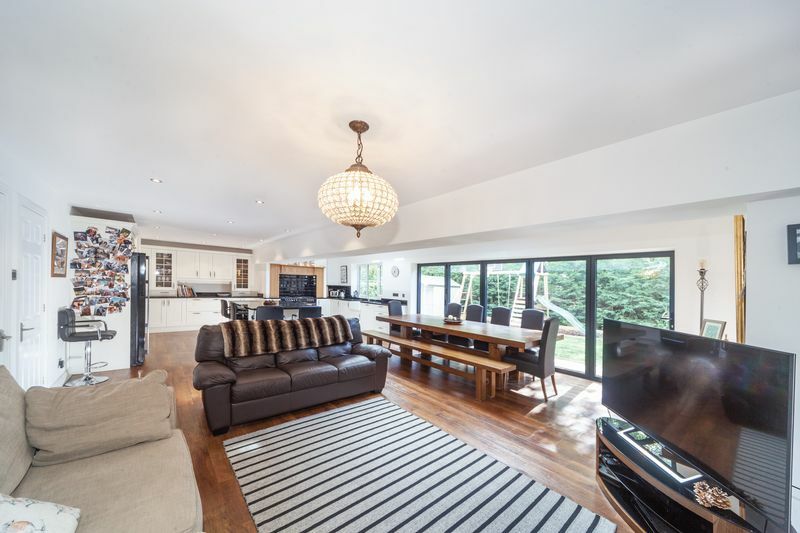 Having been cleverly redesigned and substantially extended by the current owners to create the ultimate' Wow Factor' open plan kitchen/ dining and family living room with feature bi-folding doors opening onto the rear garden which would suit most growing families. 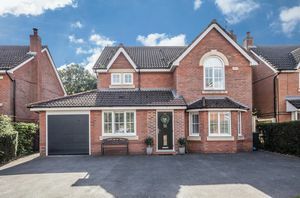 This executive style detached family home boasts generous flowing space throughout including an entrance porch opening into a welcoming hallway, living room/ games rooms, study, cloaks/ WC, simply stunning open plan kitchen/ dining and family room with a separate utility room and separate boot room off the kitchen to the ground floor living space. 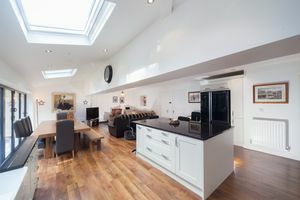 To the first floor, there are four double bedrooms, all with bespoke high-spec fitted wardrobes and bedrooms furniture, with the master benefiting from a luxurious ensuite shower room and an equally stylish family bathroom fitted with a deluxe suite. Externally there is a large driveway to the front providing ample off road parking for several vehicles and an integral single garage with a fully enclosed private garden to the rear which is not overlooked at all and south-facing, for making the most of those sunny days/evenings. 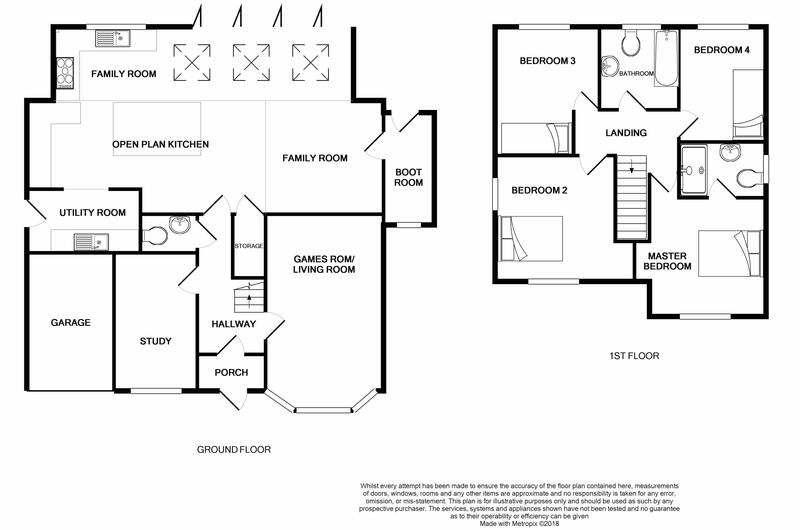 The current owners also have detailed plans passed for a 5th double bedroom with it's own ensuite above the garage. Plans available on request. 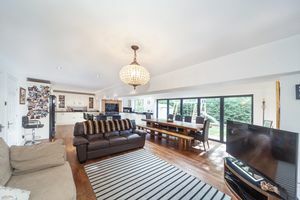 Bringing something unique to this highly popular residential estate in the heart of Culcheth Village, early viewings are advised to avoid disappointment. A nice addition for any modern family, with a composite entrance door, tiled flooring, ceiling light point and with a solid wooden entrance door with glass panes into the entrance hall. A welcoming entrance hallway with staircase rising to the first floor, coved ceiling and ceiling light point, central heating radiator, Karndean flooring and access doors to the ground floor accommodation. 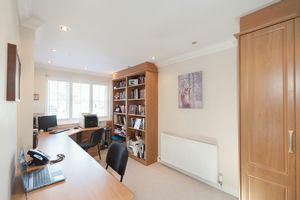 A perfect home study ideal for anyone who works from home complete with a range of bespoke fitted study furniture including a desk with separate drawer units, full wall height cupboards with shelving, telephone point, large uPVC double glazed window to the front aspect, Karndean flooring, central heating radiator, coved ceiling and spotlights. A great sized reception room which could serve a multitude of uses but currently used a games room with a large uPVC double bay window to the front aspect with fitted Venetian shutters, TV point, coved ceiling and wall light. 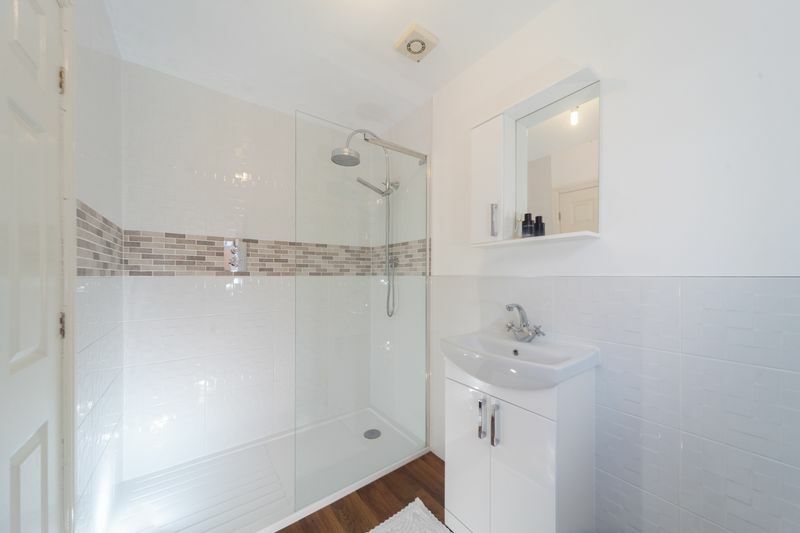 An essential for every modern family, fitted with a low level WC, wall mounted wash hand basin, central heating radiator, part tiled, vented and ceiling light point. A must have for most modern families, fitted with a low level WC and wall mounted wash hand basin with part tiled walls, central heating radiator and ceiling light point. 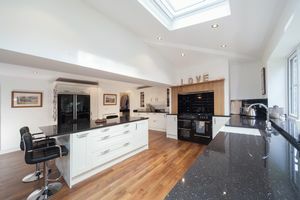 The ultimate 'Wow Factor' open plan kitchen and open plan family living and dining space which has been well designed by the current owners to create an impressive ground floor space which is the hub of the home. The kitchen area boasts a range of fitted cream shaker style wall and base units including a fabulous centre island all with quartz granite worktops over incorporating a range of integrated appliances including dishwasher, Belfast sink with a mixer tap and drainer, space for American fridge/ freezer, Belling range cooker inset feature Oak surround with tiled splash backs and ample wall and base cupboards. 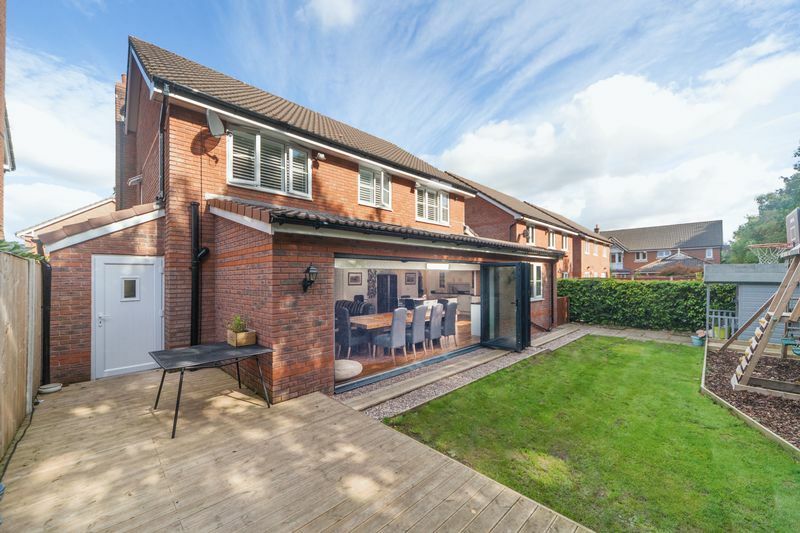 Karndean flooring continues throughout with feature bi-folding doors opening onto the rear garden and three further velux windows allowing floods of natural light, TV point to the lounge area, two central heating radiators and spotlights. 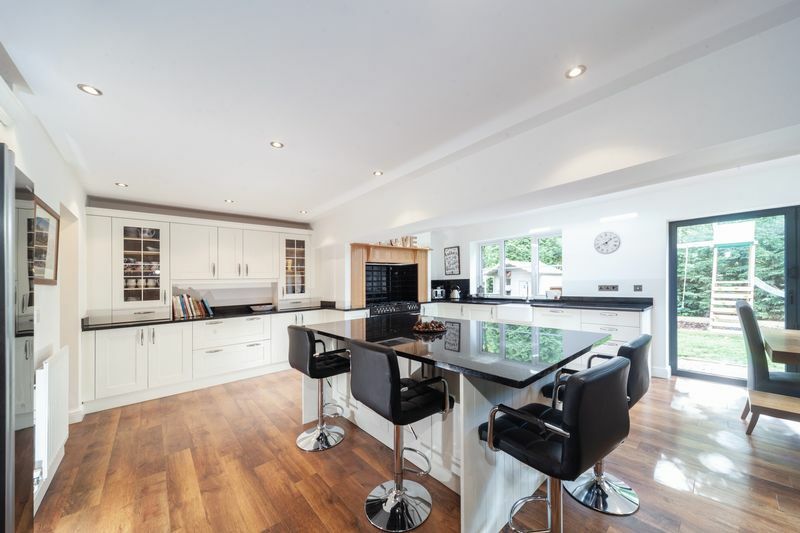 What can only be described as the ultimate party kitchen/ family room, perfect for entertaining with a fantastic dining space with a separate cosy living room area. 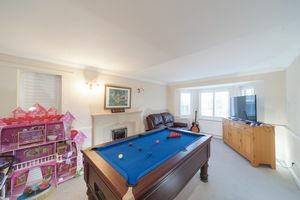 Another must have these days for modern families, which boast the same shaker style wall and base units with the same speckled quartz granite worktops with a separate built in handing space area for shirts/ ironing, plumbed for washing machine, space for dryer, Karndean flooring, central heating radiator, spotlights and door to the side access. 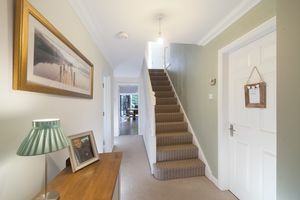 Access to loft area. Another great addition to the ground floor space with a separate entrance door to the rear patio, uPVC double glazed window to the front aspect, Karndean flooring, base units with worktops over and ceiling light point. A spacious landing with access to all first floor bedrooms and ceiling light point. A Situated to the front of the property with a feature arch uPVC double glazed window with bespoke fitted Venetian shutters overlooking the front aspect, bespoke fitted wardrobes to each wall including overhead cupboards and bedside tables with drawers, central heating radiator, ceiling light point and door into the ensuite. A contemporary ensuite shower room fitted with a luxurious three piece suite in white comprising a tiled shower cubicle with decorative border and glass screening with a waterfall shower head over with a separate shower attachment, low level WC, wall mounted wash hand basin, chrome ladder style radiator, uPVC double glazed frosted window to the side aspect and ceiling light point. Vented. 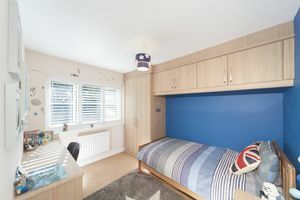 Another great sized double bedroom which is dual aspect with uPVC double glazed windows to the front and side aspects, both with fitted white Venetian shutters, built in high spec white gloss wardrobes providing ample storage with a separate dressing table unit with built in drawers, central heating radiator and ceiling light point. Another double bedroom with bespoke fitted wardrobes with overhead cupboards, uPVC double glazed window overlooking the rear aspect with fitted Venetian shutters, central heating radiator and ceiling light point. 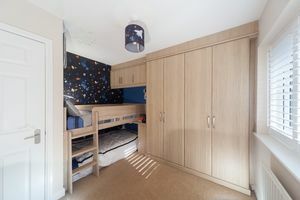 Another double bedroom with custom built fitted furniture including fitted wardrobes, built in bunk beds with overhead cupboards and separate dressing table, uPVC double glazed window to the rear aspect with fitted Venetian shutters, central heating radiator and ceiling light point. 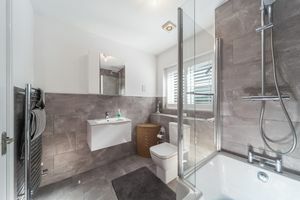 A deluxe bathroom suite fitted with a three piece in white with chrome fittings comprising a panel P-shaped bath with a waterfall shower over with separate shower attachment, low level WC and wall mounted wash hand basin, chrome ladder style radiator, contemporary grey tiled walls and complementary tiled flooring, uPVC double glazed window to the rear aspect with fitted Venetian shutters and ceiling light point. Vented. To the front of the property there is a large driveway which provides ample off road parking which in turn leads to the attached single garage. There are access gates to the rear. 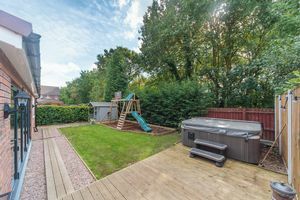 The rear garden boasts a southerly facing aspect and is very private, well established and overlooked with mature trees and planting, backing onto the Linear park. 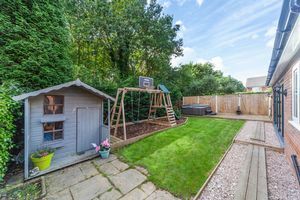 There is a decked patio area, perfect for summer BBQs and a garden shed for storage. 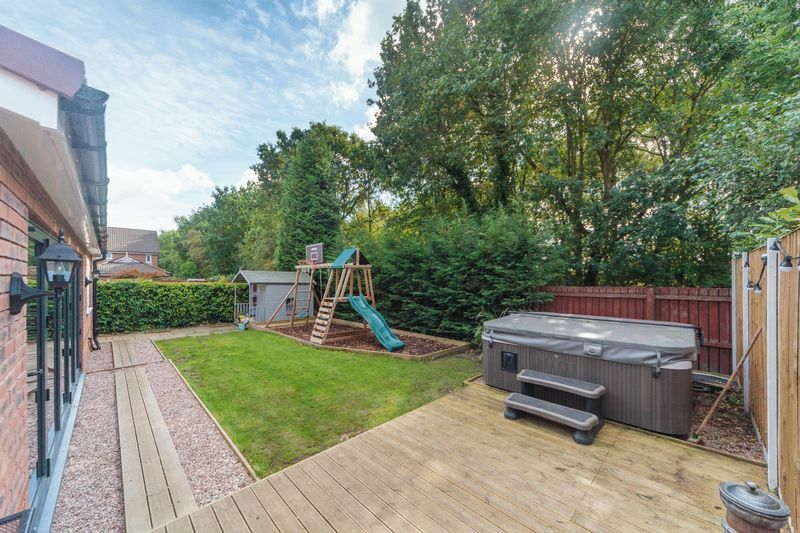 There are gravelled walkways and the rest of the garden is laid to lawn with a separate children's play area. Outside water tap. With an electric door, power and light and a newly fitted Worcester combi boiler which is wall mounted. The current owners have details planning permission passed for a 5th double bedroom with it's own ensuite above the garage. Plans available on request.